This Supply Chain Mapping service provides a simple but effective indication of the ideal location for a centralised distribution centre. It can be based on the centre of gravity of demand, the centre of gravity of supply, or the least cost distribution centre of gravity. 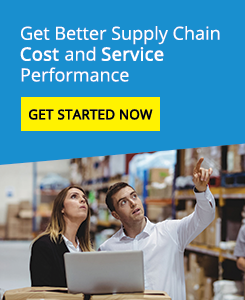 This simplified model is based on generic warehousing and transport costs, but more detailed network modelling can be undertaken with our customers ‘actual’ distribution costs.